Growing out of speed garage, bassline (the genre, not the musical element) first came to prominence in the early part of the century. Although it's recently been out-shone by dubstep, bassline shouldn't be forgotten, which is why SampleRadar is celebrating it today. The samples are split into three folders: Bass loops, Beats and Drum hits. The Beat loops are also supplied as REX files for maximum flexibility. 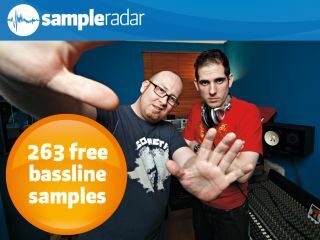 The bassline samples are supplied in a zip file, so you'll need to extract them before you can see them. Enjoy!